Our clients can avail Air Washer System, special humidifier discs turn through the water removing impurities from the air naturally, which gives great relief to allergy sufferers. Therefore it is called an air washer. The discs, which never need replacing, have a great adhesion for water to guarantee high humidity output. The air washer is equipped with the ionic silver stick (ISS) anti-microbial protection system that prevents microbial growth in the water base. Microbial protection is particularly needed when the humidifier is not used for some time with water remaining in the base. 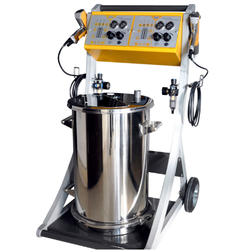 We offer’s Electrostatic Powder Coating Spray System for coating application is achieved by spraying powder through an electrostatic field, charging the particles, which are then deposited on a grounded part. Heat is applied, the powder particles fuse into a continuous film, and the part is then cooled. Electrostatic spraying of thermoplastic powder coatings is very similar to that of conventional thermo set powder coatings and many applicators use both on the same coating line performing multiple changeovers in a single day with minimal process changes. 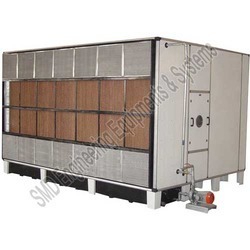 Looking for Air Washer System ?